How to get lean and drop vital weight on the bike to make you faster! In the latest instalment of their Cycling Nutrition series, our friends at New Body Osteopathy take a look at fat loss for cyclists... The "do's and dont's" to ensure that the benefits last and are achieved safely and efficiently. NewBodyOsteo are running a special 10% discount on all their nutritional services until 31st August 2018, so now is the time to take action if you're looking to get race fit, or simply slim down a little. Call them on 020 7177 0207 for more details, or book online. It probably goes without saying that the lighter you are, the easier the climbs will be. And there are clear health benefits to mantaining a healthy (and not extreme) BMI. As cyclists we see and feel the benefits more than most. Our ISAK anthropometry qualified nutritionist, Richie, uses skinfold callipers to precisely measure your body fat and lean muscle mass. This allows him to monitor the results of nutritional interventions that he puts in place to make you leaner and improve your performance on the bike. All serious cyclists want the latest carbon fibre frames, aero wheels and skin suits to improve performance but why not also invest in yourself? Why not lose 2 or 3kg of body fat to make those climbs easier through an easy to implement nutritional plan that is bespoke to your preferences, training and lifestyle? Energy in vs Energy Out? What does this mean and how does it affect body composition? Changes to body composition result from manipulated energy expenditure and energy intake. Energy expenditure is any form of activity you do during the day, basically anything that burns calories from when you wake up to when you go to sleep. For the average person, just to live and breathe they would use 1300-1600kcal and this Is known as your resting metabolic rate. On top of this, you have other forms of activity which includes exercise, walking and house work and often our total energy expenditure will exceed 2000kcal, depending on the amount and form of exercise completed during that day. Energy intake comes from anything you put in your mouth that has calories (and yes this does include beers!). The intricate balance of energy intake and energy expenditure is the key factor when looking to change body composition. Richie measures this using specialist software during each consultation with you. 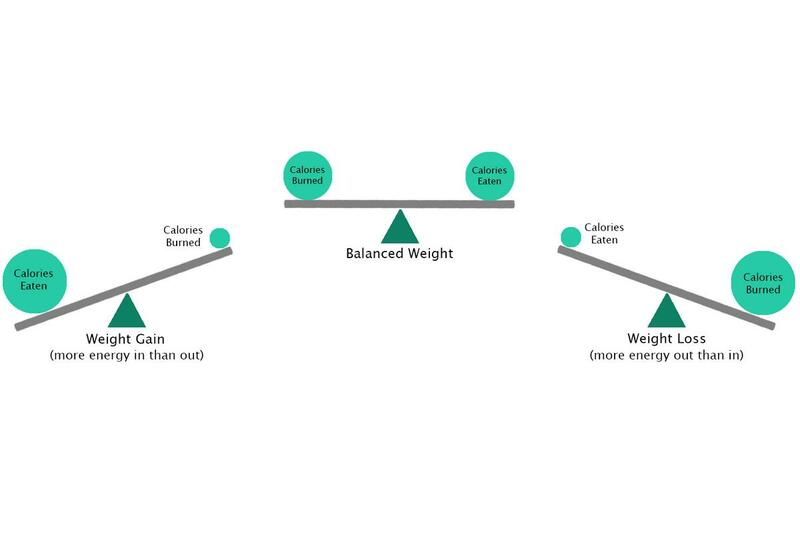 This process is vital to understanding the amount and type of calories that are eaten to then inform new nutritional strategies. Everyone's needs are individual for example, Geraint Thomas's calorific demands during the Tour de France would have been huge but he couldn't consume them all in one hit! The sources and amounts would require careful planning by a qualified SENr nutritionist, in this case Dr James Morton, to ensure optimal nutritional fuelling during both the event and his training. Our nutritionist can calculate how much food you need to eat based on your exercise and lifestyle to ensure your body composition goals are achieved. These devices are great for monitoring day to day changes in activity (including steps), however, many people rely on them to estimate their calorific burn and there for how many calories they can go on to consume but these devices have been shown in numerous research studies to be inaccurate and often an overestimation. For this reason, it is vital you consult with a nutritionist to ensure your energy expenditure is calculated specific and correctly for you. Is it as Simple as Energy in vs Energy Out? The easy answer is yes, but like everything in life it's not that easy! You need to ensure the proportions of the foods you consume are correct because these will affect how your body uses energy and fuels muscle. A balanced diet needs to contain enough protein to allow your muscles to repair and grow especially if you are consistently training, whilst ensuring you have the correct quantity and types of fats (see our previous fat blog) which help regulate appetite, aid fat oxidation and absorb vital fat-soluble vitamins. Add to this a mixture of at least 5 vegetables per day to ensure optimal vitamin and mineral intake for vital bodily function is key to ensuring optimal health, especially if you're training. An un-balanced diet in any of these macro-nutrients can have a significant negative effect on how your body works. For example: If you ate 2000kcal of just simple sugars as part of the above example, would you lose weight? Maybe, but you will also be in a completely unhealthy state, but I'm sure we don't have to tell you that! You'll also be very hungry all the time, irritable and likely to fall sick due to a weakened immune system and who wants to miss half of the training season due to illness? What rate of body fat loss is healthy/optimal? Sustainability and long-term change are key for us at New Body Osteopathy. Therefore we aim to provide a 1-2lb per week body fat loss over time (note this is body fat - measured accurately via thorough anthropometric testing, not a set of scales), affording you an opportunity to maintain the body composition changes you have made for the long term instead of making it a short-term fix. There are no fads, no pseudoscience or 'gym talk' in our practice. The key to weight management is having sound nutritional advice from a professional that can plan your diet around your lifestyle, whilst having results and enjoyment at the forefront of recommendations. To find out more about how much you should be eating specific to your needs, contact us now on 020 7177 0207 or book online at https://new-body.cliniko.com/bookings#location. We are running a 10% discount on all nutritional services until 31st August 2018, book now to avoid missing the saving!